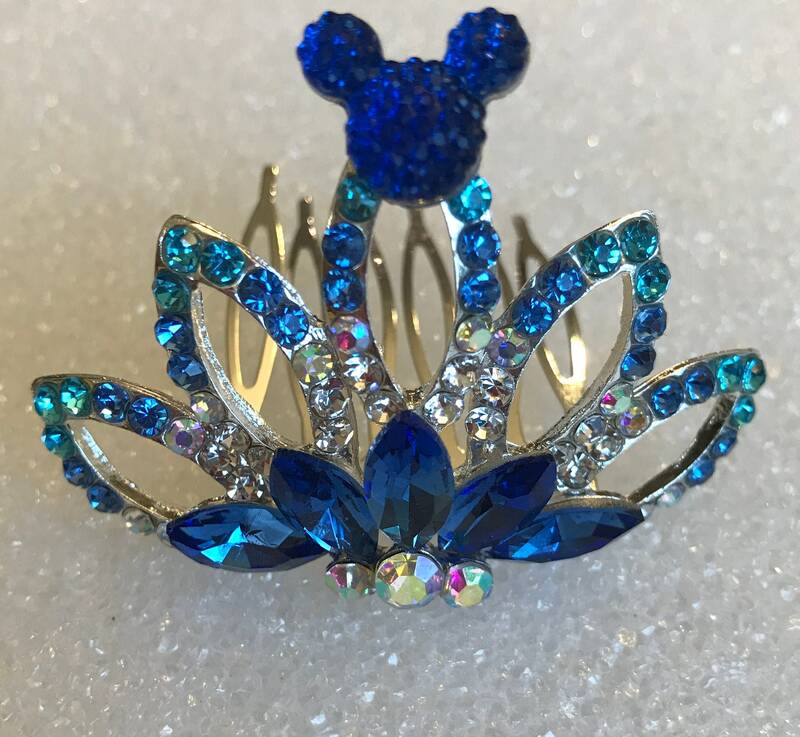 Made of clear and royal blue rhinestones and Zinc Alloy Metal in a silver tone setting. 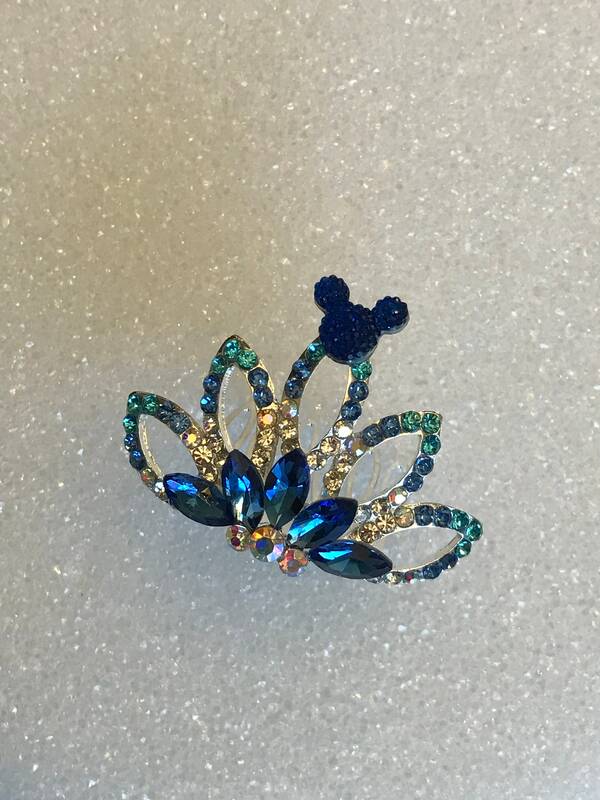 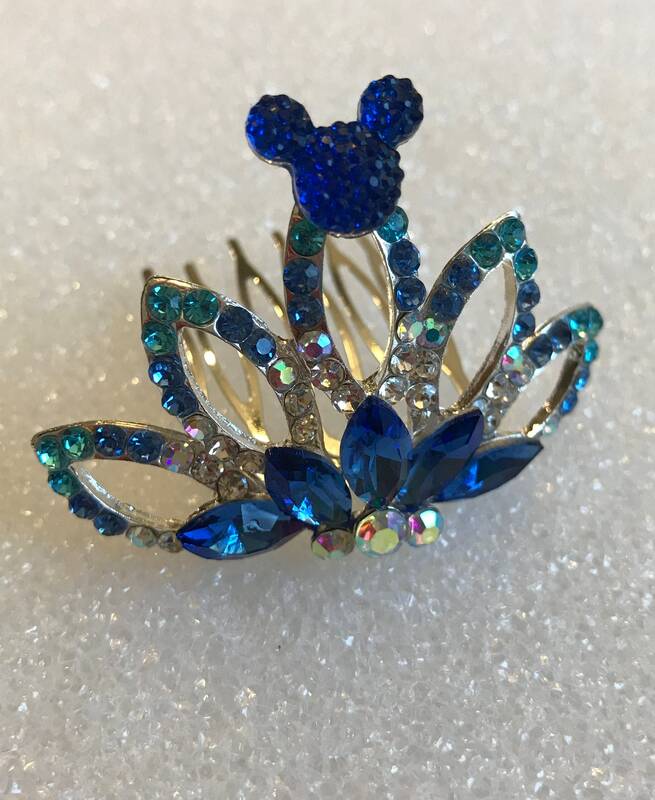 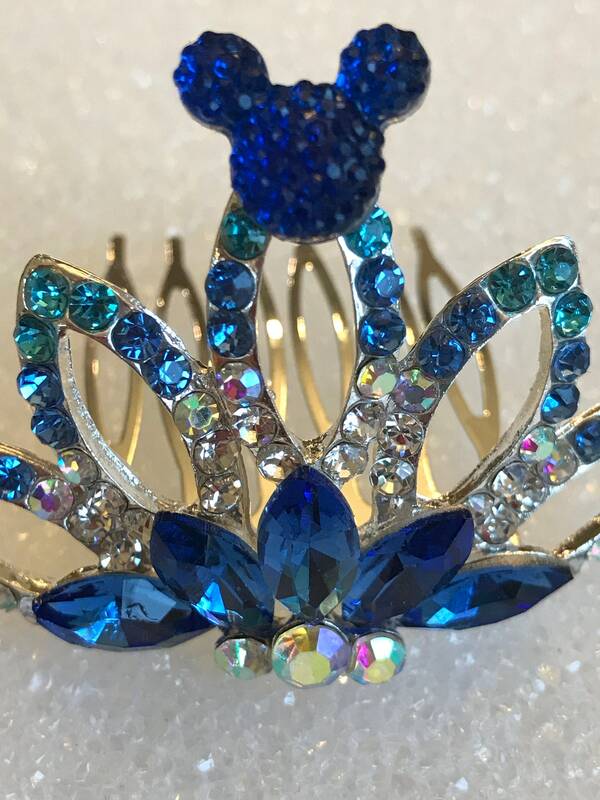 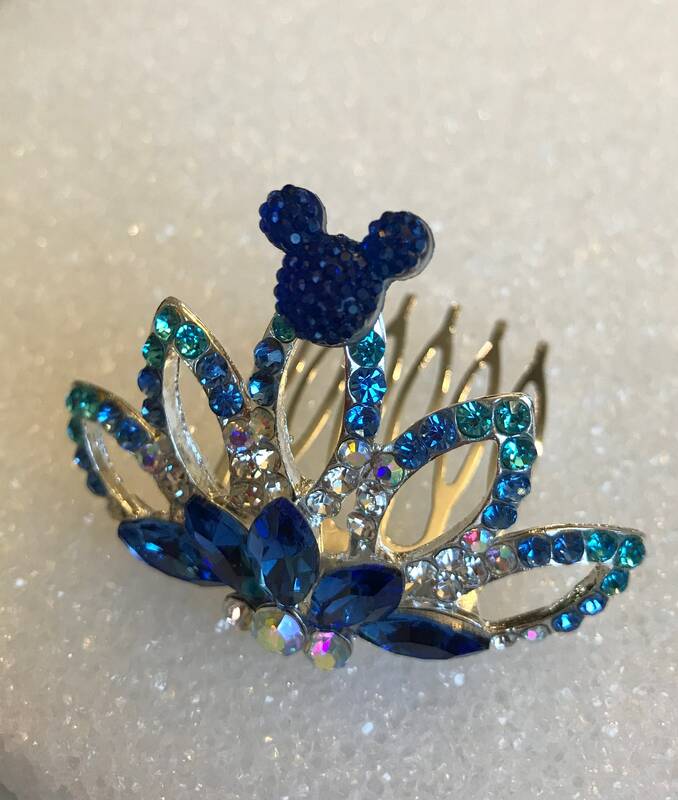 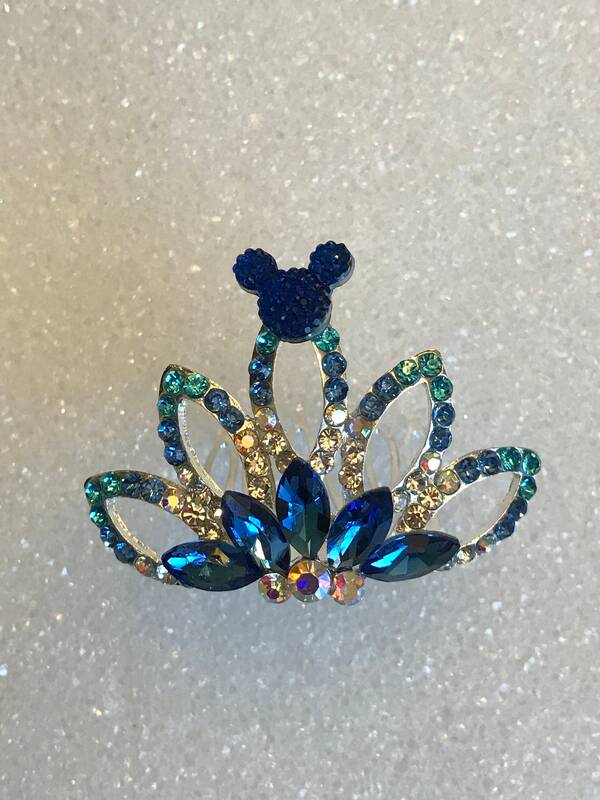 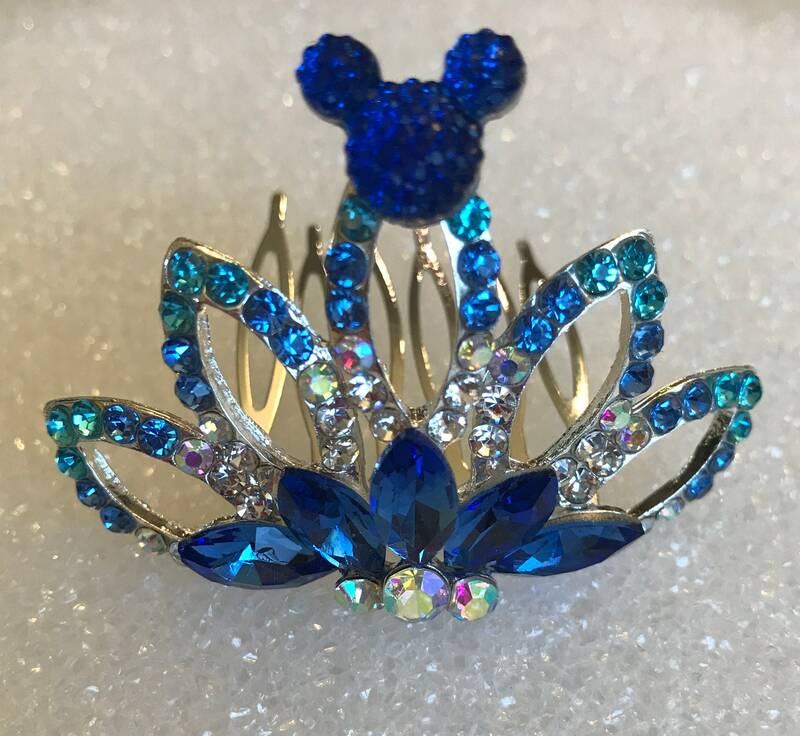 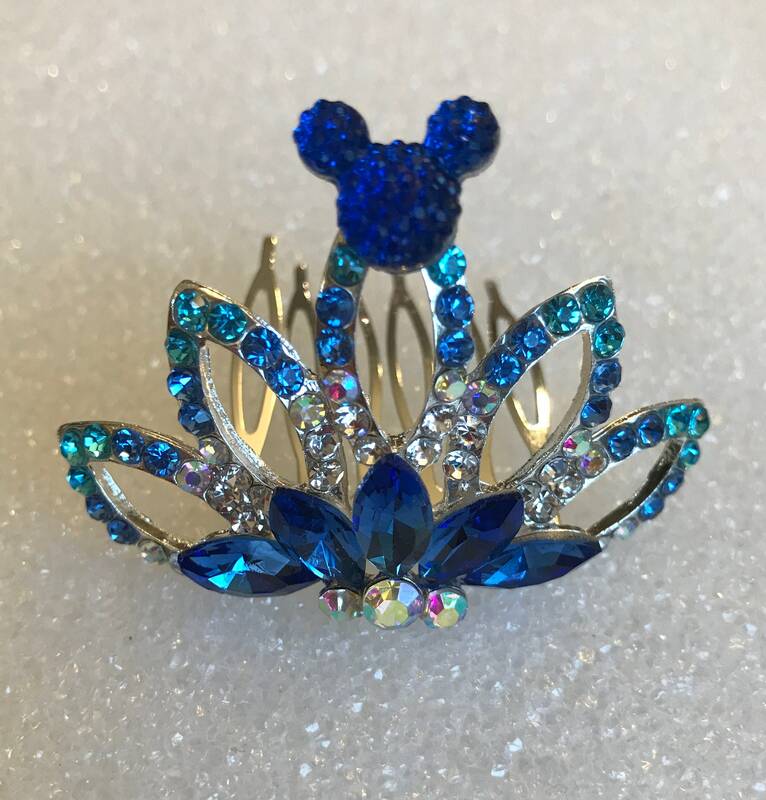 There is a tiny royal blue mouse silhouette attached to the top of the tiara comb. 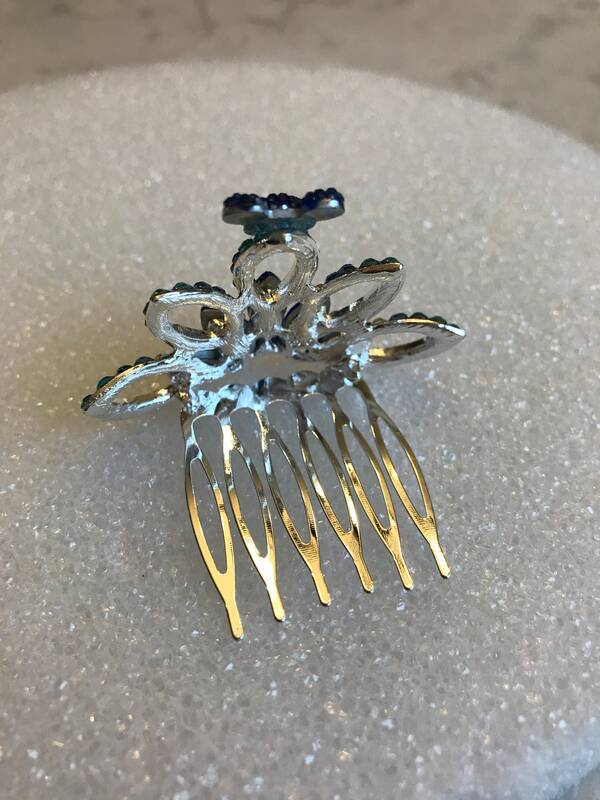 This listing is for miniature tiara comb only.